Touch Open had successfully held 4 roadshows in the month, drawing public attention and making chance to meet with our customers face to face. Print ad was issued in varies newspaper and magazines, such as Apple Daily, Headline Daily, AM730, East Touch, Milk and U-Magazine, to announce and remind our customers for the event. Remarkable gift, "襟4FUN Office Humour" Pin series (limited edition), also contributes to the success of the event. 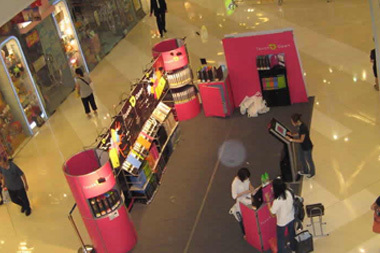 Having great feedback and sales result from this event, Touch Open will keep improving our products, listening to our customers and will surely carry out more promotion events in early 2009. Hope we will see you there, thank you.